Limelight series on the terrace. 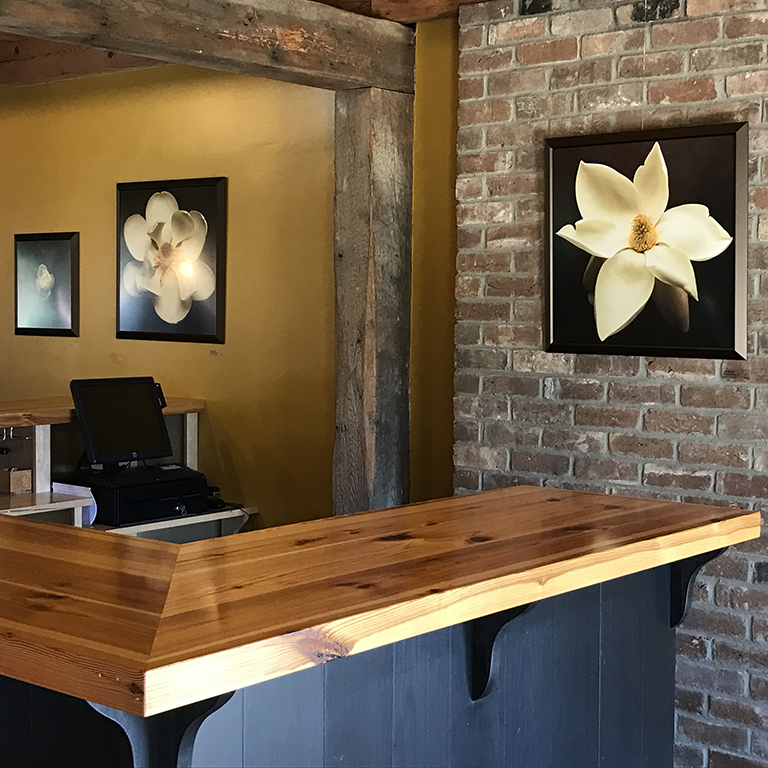 "Turning Towards the Light: Portraits of Flowers" featured 30 prints from editions created between 2013 and 2016. Linden Vineyards is one of Virginia's premiere winemakers, producing elegant French-style wines that express unique "terroir"—that enigma of soil, climate, and grapes that makes all wine individual to its place of origin. 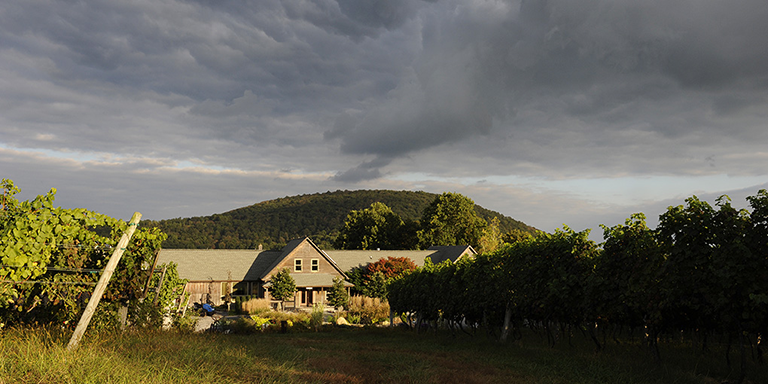 Nestled in the foothills of the Shenandoah, only an hour from DC on I-66, the vineyard is a small jewel. 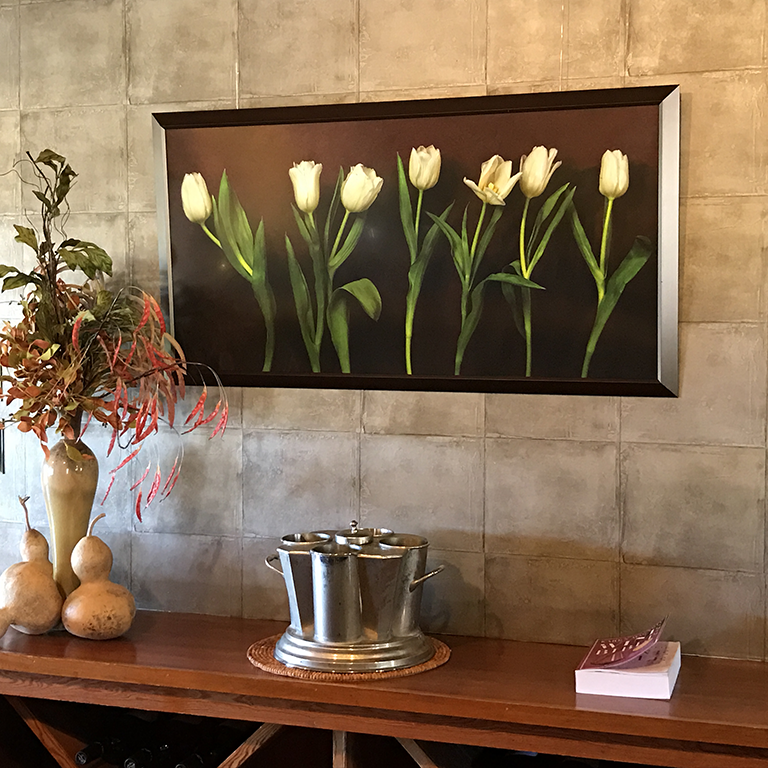 Although they enjoy an international reputation for the quality of their wines, the Linden welcome is down-to-earth and friendly. 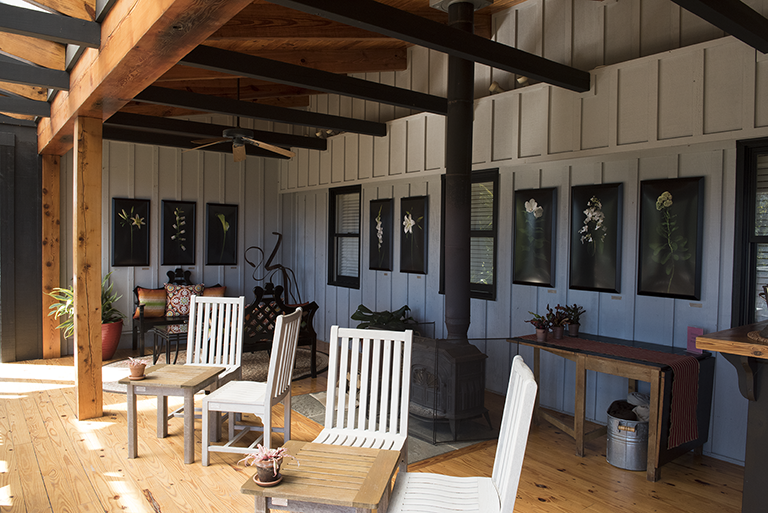 They enjoy sharing their wines, and they enjoy sharing the walls of their beautiful facility with Virginia artists. I was privileged to have my work there through an entire season of growth, from dormancy to harvest.